This size variety is recognized as a 4th size in Europe, also known as Klein. In the USA, they are registered as the standard variety by the AKC. Moyen-size is generally between 15-20" tall at the withers. Twinkle is a red small moyen-size/large miniature girl. 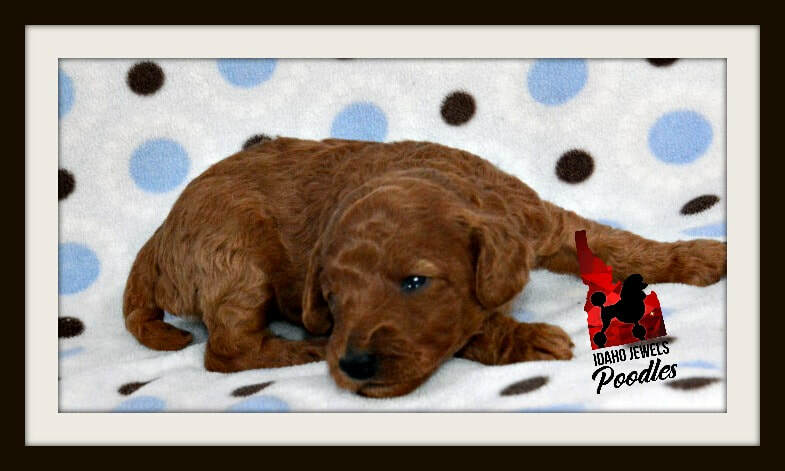 Cider is a red miniature poodle boy, listed on our sires page. Both are health-tested. 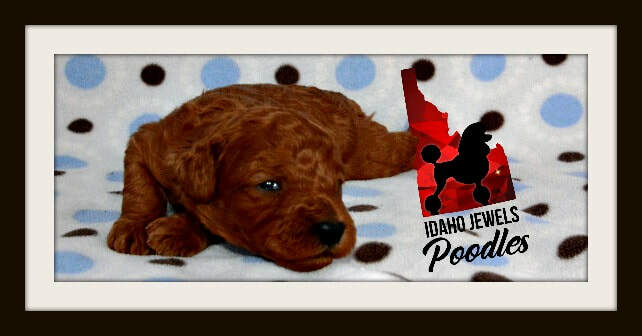 MANY YEARS OF EXPERIENCE AND STILL EXCELLING…WE THANK YOU FOR TRUSTING US TO ASSIST YOU WITH YOUR SELECTION OF YOUR NEW FURRY FAMILY MEMBER & WELCOME YOU TO OUR IDAHO JEWELS FAMILY!